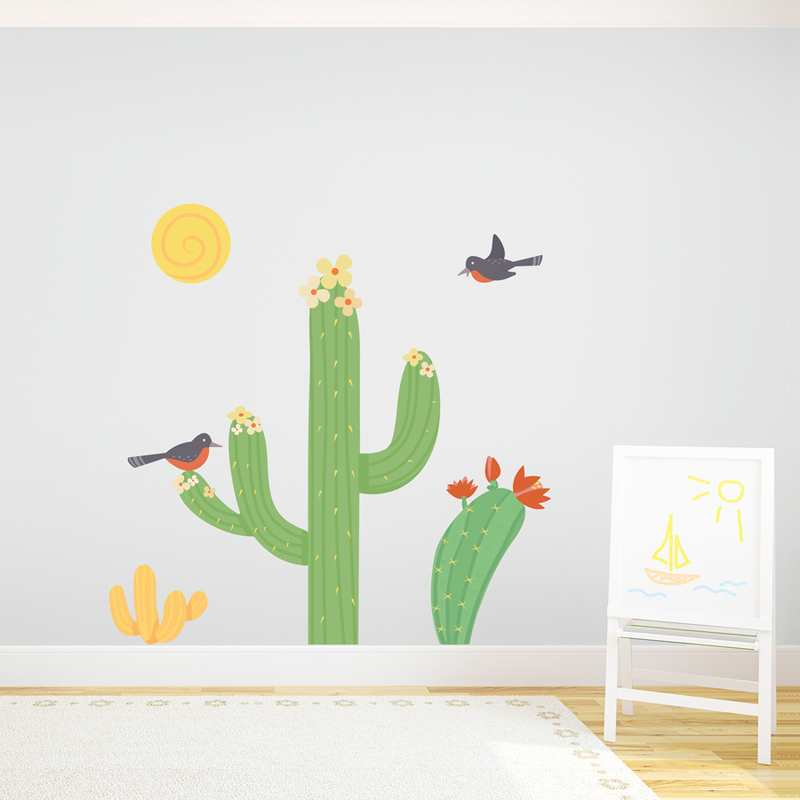 Apply this prickly cactus with birds wall sticker add a touch of the desert to your wall decor. 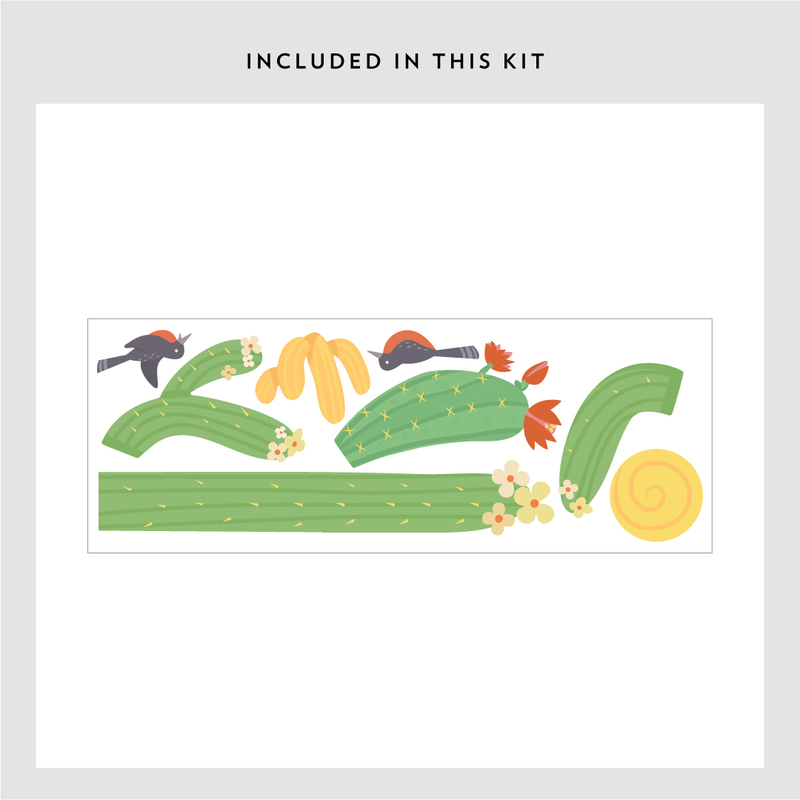 Includes two birds, a sun and 3 different sized cacti. 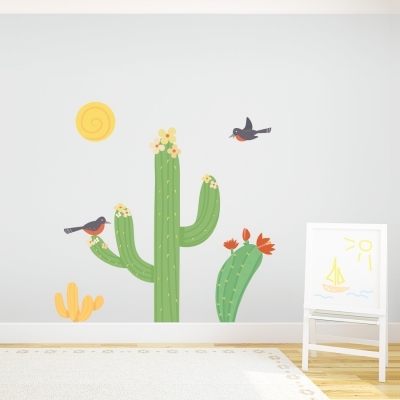 This desert wall decal is available in 3 kit sizes.